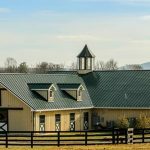 Competition season in the Northeast is well on its way, and it’s important to ensure you and your horse are properly prepared. 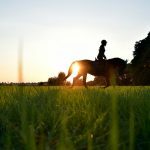 Establishing a routine to build fitness and completing integral health checks can help prevent injury and pave the way for a successful season. 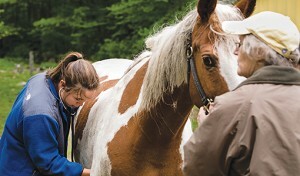 During a physical exam, your veterinarian will check for lung and heart health. 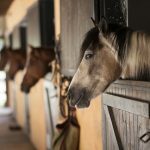 It is essential that your horse’s workload is increased at an appropriate pace. If muscles become over-fatigued, it can cause overuse and overstrain of tendons and ligaments. This, in turn, can predispose your horse to injury. How do you know you’re training at a suitable level? Determine your horse’s resting heart and respiratory rate, and, after normal exercise, it should return to that resting rate quickly. “If, after a few minutes it stays elevated,” explains Dr. Chope, “that generally indicates that he’s less fit” and that the length and intensity of exercise should be adjusted to build greater fitness. 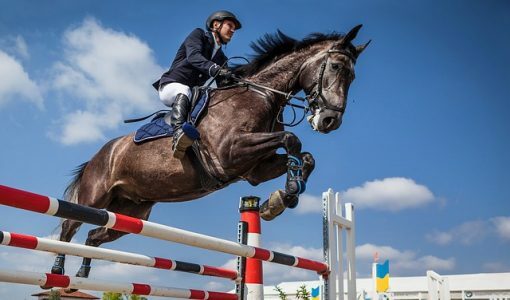 Additionally, if the horse has been exercising less and has some arthritic joints, it’s important to allow for a couple of weeks get those joints loosened up and increase his range of motion and flexibility before asking him to perform like he did at the end of the prior year. 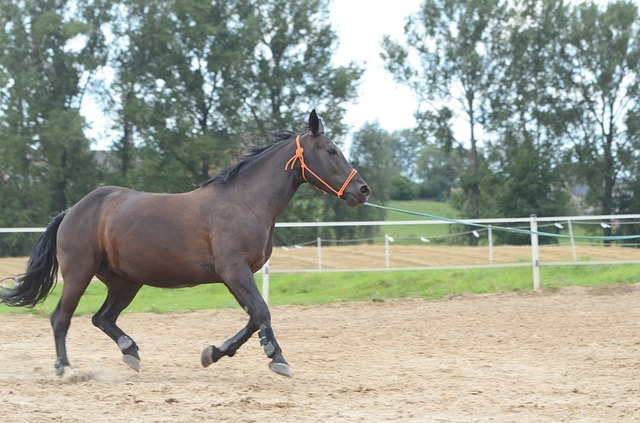 Unmounted exercises like stretches and lunging can help keep your horse fit in the off-season. 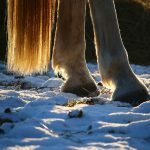 “Doing a certain number of these stretches has been shown to improve the cross-sectional area of the spinal support muscles in the horse, so you can actually make a true difference for the horse,” says Dr. Chope. 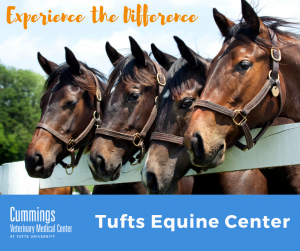 With a proper training regimen and assistance from your veterinarian, you will be well-prepared for the upcoming competition season. Now, it’s time to go out and have some fun.